Muhammadu Buhari Archives - Africa M.E. Is time the only thing that Buhari needs to rebuild Nigeria? 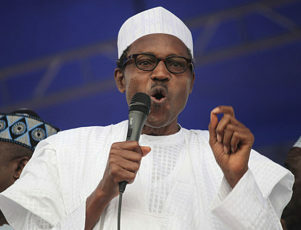 Nigeria’s president inherited a multitude of problems from the previous administration. Does he have what it takes to overcome them? 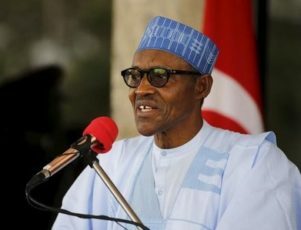 Nigeria’s President, former military ruler Muhammadu Buhari calls for time and space to achieve the objectives he laid out upon his election last year. Buhari has openly declared his intentions for Nigeria’s future. He wants to build a country that future generations will be proud to inherit. 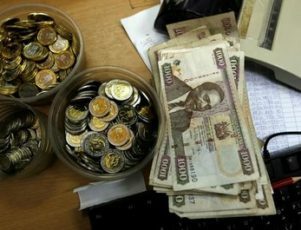 This is rare in a continent where leaders frequently think in the short term – often selling off natural resources for instant personal gain, rather than investing in long-term solutions for Africa’s economic problems. Buhari’s Nigeria, he claims, is “for its children.” Whether these promises will materialize will depend on his ability to identify and build upon his past mistakes, and those of his predecessor. Muhammadu Buhari comes from a large family; he was his father’s 23rd child, born in 1942 in Daura, Katsina state. He ruled Nigeria for 20 months in 1985 and has since lost three general elections to the People’s Democratic Party, which has dominated the political landscape in Nigeria since the end of military rule in 1999. Buhari’s perseverance has paid off and after waning public support for Goodluck Jonathan, he became the first opposition candidate to de-throne an incumbent leader in Nigeria. The issues inherited from previous governments will not be easy to overcome however, and continuing President Jonathan’s battle to contain the Islamic militants in the north will be Buhari’s biggest challenge. 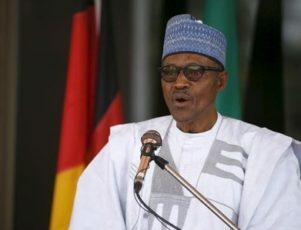 Originally from Nigeria’s Islamic North, Buhari has alienated many from the mainly Christian south of the country by giving his support to Sharia law. Subsequently, he has had to strongly deny having a radical Islamist agenda. Deep-seated suspicion regarding his religious background and suggested support of Boko Haram has been quelled by a recent failed assassination attempt that left 82 dead, apparently orchestrated by Boko Haram forces. Boko Haram is unfortunately not Nigeria’s only crisis. Buhari will also have to tackle large scale unemployment and rampant corruption. Buhari’s Deputy Prime Minster estimated that 110 million of Nigeria’s 170 million inhabitants are living in extreme poverty. He also noted that the majority of the wealth is going into the pockets of the nation’s privileged few. For Africa’s most populous nation, these economic issues add stress to the fractures caused by religious extremism and recent spates of violence. Making progress with these issues may also be the key to undermining the militant support among the population, with rampant unemployment being a key factor in their recruitment campaigns. His biggest election promise is to tackle the fuel shortages that have blighted the population and stagnated the economy over the last several years. His plans are to increase production and improve distribution, while renegotiating terms with the rebel forces. In 2009 President Jonathan’s government agreed to pay militants $400 per month to stop their attacks on the fuel supplies. Once the money inevitably dried up, the attacks recommenced and the supply problems are now worse than ever. On paper, Buhari seems to be well placed to handle this crisis: he was the Minister for Petroleum and Natural Resources in 1976 and during his tenure heavily invested in pipelines and created 21 new petroleum storage units across the country. But his ability to negotiate with the Nigeria Delta Avengers is in contention; his rigidity and stubbornness are well known within the administration and beyond. 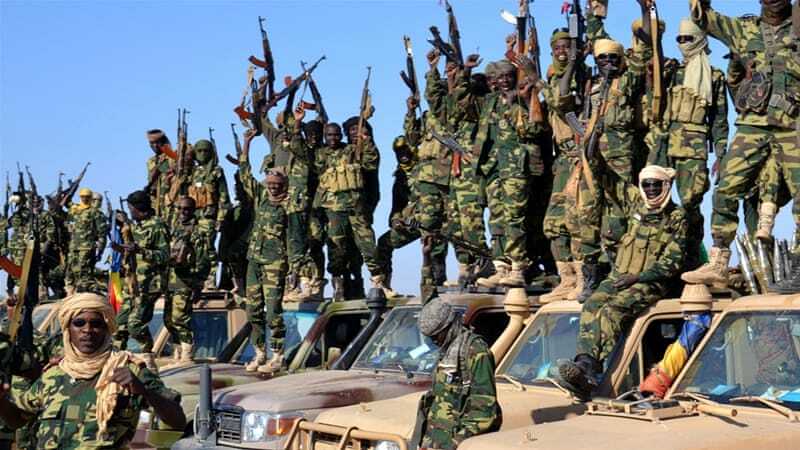 Striking a balance between tackling the underlying issues, negotiations and strategic military moves will be key to eradicating the extremist violence that have dominated the political horizon in Nigeria. 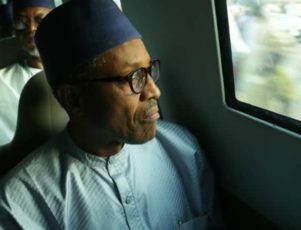 Buhari claims to be a “changed man” and a “converted democrat,” taking full responsibility for all that happened during his short military rule in the mid-80s, and the part he played in the military coup that overthrew the democratically elected leader, President Shehu Shegari. If Buhari’s “incorruptible” and rare reputation for honesty holds true, he may be able to usher in a wave of change, washing away the culture of injustice and corruption, both in businesses and in government. He has appealed for time and patience, but will this be enough, or will the multitude of problems he faces just be too much to overcome? Muhammadu Buhari, the Nigerian President, aimed a subtle attack on David Cameron’s hypocrisy after the British PM’s comments on Nigerian corruption. Muhammadu Buhari, the Nigerian President, was in London this month for a multinational conference on tackling corruption. The summit was being held at the Commonwealth Secretariat, in the UK’s capital city, and played host to numerous world leaders as well as the US Secretary of State, John Kerry. While the event was a positive move by different nations to discuss strategies for breaking down corruption, it was preceded by an embarrassing leak regarding the British Prime Minister. As Mr. Cameron’s comments were widely reported, President Buhari’s office released a statement to say that the President was “deeply shocked and embarrassed” by the Prime Minister’s remarks. However, there was a much more subtle retort about to come. A retort in which Buhari accepted the issues that his country faces with corruption, but also shone a light on the vein of hypocrisy, that some might see, within Cameron’s words. This was a reference to the billions of dollars of money stolen from Nigeria by corrupt officials, who then took their ill-gotten gains to the UK. The most recent example of this involves former Nigerian state governor Diepreye Alamieyeseigha, who fled Nigeria as he faced corruption charges, and arrived in Britain with $1.8 million in cash. While Alamieyeseigha was arrested in the UK, and charged with money laundering. £1 million of this money was eventually returned to Nigeria through the Metropolitan Police. Moreover, this was not an isolated case, or even close to being the largest amount. Funds stolen from Nigeria and siphoned to the UK are nothing new. Almost 20 years ago, the former military head of state, Sani Abacha, was shown to have stolen approximately $5 billion from Nigeria’s coffers, and half of this is estimated to have been laundered in the UK. None of this money was ever recovered by Nigeria, and the incumbent President wonders just where it is and when it will be returned. The former governor of Nigeria’s Delta State, James Onanefe Ibori, is also estimated to have stolen $250 million from his homeland. Ibori is serving jail time in the UK, but his multitude of British properties has not been processed in order to ensure that the laundered money is sent back to its rightful home. It is of course clear that Nigeria’s corruption problem outweighs Britain’s. However, perhaps one of the largest issues is that Nigeria’s corruption adversely affects its own people, while Britain’s corruption often allows a small number to benefit from theft outside its own shores. The recent scandal around the Panama Papers, and the naming of Mr. Cameron’s father in them, is a timely reminder that corruption is not simply a problem in the developing world. The presence of the various world leaders in London is a positive step, but Nigeria could justifiably argue it is doing more than most to address its problems. The Nigerian Economic and Financial Crimes Commission has only been operating since 2003, and yet by 2013 it had thousands of convictions. Nigeria appears to be taking corruption seriously, and “embarrassing” comments put to the side, it must be hoped that all the nations at the anti-corruption talks can work together for sustained progress. 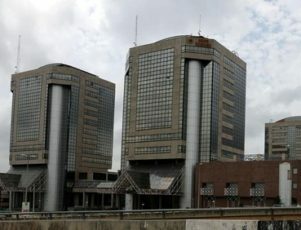 ABUJA (Reuters) – The World Bank held talks with the Nigerian president on Wednesday on how it could help Nigeria overcome an economic crisis caused mainly by a sharp fall in crude prices eating into its oil revenues. On her second day of meetings with Nigerian officials, World Bank Managing Director and Chief Operating Officer Sri Mulyani Indrawati met President Muhammadu Buhari, who plans to stimulate the flagging economy with a record 6 trillion naira ($31 billion) budget. Nigeria will have to borrow 1.8 trillion naira from abroad and at home to help fund the budget, which has been delayed by several months and wrangling with parliament, if it goes ahead. Although Nigeria has held talks with the World Bank over a possible loan or credit facility in recent months, Indrawati did not address this when speaking to reporters after the meeting. “We would like to know how we can help Nigeria to make the very important decisions, whether on micro economic policy and other sectoral policy, that will make this economy move forward to become a strong middle income country,” she said. Indrawati, who met Finance Minister Kemi Adeosun on Tuesday, said she and Buhari discussed the government’s “commendable goals to improve tax collection and crackdown on corruption. 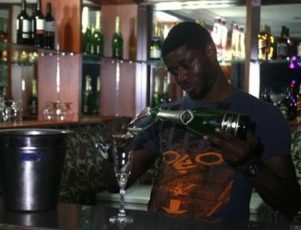 Nigeria’s economy, the largest in Africa, grew by 2.8 percent last year, its slowest pace since 1999.